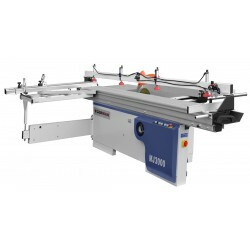 A professional sliding table saw for working of high density boards, MDF boards, ABS and PVC panels, solid wood and other wood-based materials or of similar structure and hardness. MAIN MOTOR 5.5 kW + SCORING BLADE 0.75 kW. 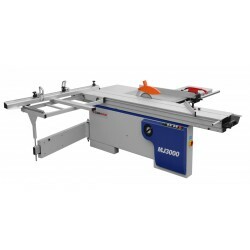 A professional sliding table saw for working of high density boards, MDF boards, ABS and PVC panels, solid wood and other wood-based materials or of similar structure and hardness. 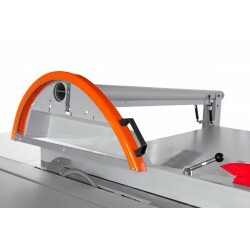 A movable work table is made of increased strength shaped aluminium. The carriage is guided on trapezoids. 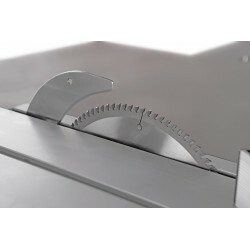 The table is very durable and does not undergo deformations. 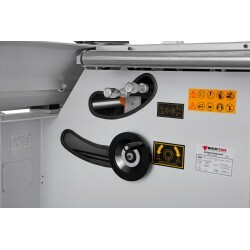 A robust, solid and compact structure secures comfort and failure-free operation. 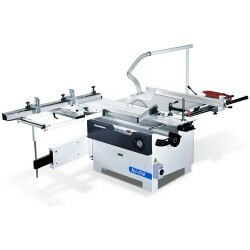 The machine is ideal for professional as well as for amateur joiners. Sliding table saws for working of high density boards, MDF boards, ABS and PVC panels, solid wood and other wood-based materials or of similar structure and hardness. 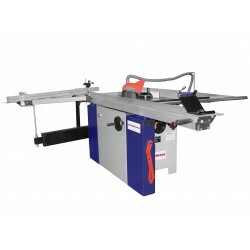 A sliding table saw for working of high density boards, MDF boards, ABS and PVC panels, solid wood and other wood-based materials or of similar structure and hardness. 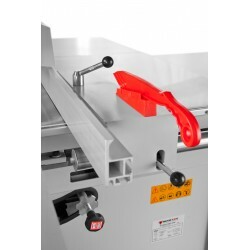 The saw designed for small and medium joiner’s shops. 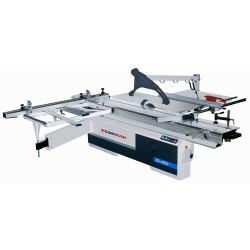 A professional sliding table saw for working of high density boards, MDF boards, ABS and PVC panels, solid wood and other wood-based materials or of similar structure and hardness. 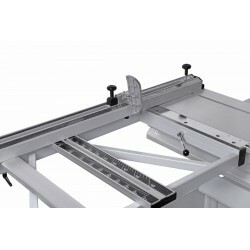 TABLE GUIDED ON RODS. ELECTRIC SAW LIFTING. INCLINANTION ANGLE DIGITAL DISPLAY. CENTRAL LUBRICATION SYSTEM. 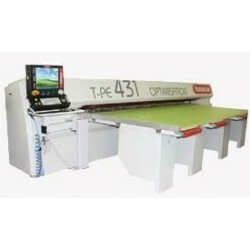 Precision, speed and cutting quality as well as operation ease are only some features of the computer controlled T-PE 431 sliding table saw with optimization. 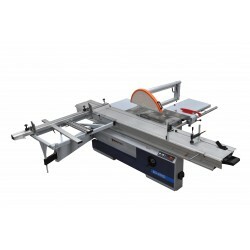 A professional sliding table saw for working of high density boards, MDF boards, ABS and PVC panels, solid wood and other wood-based materials or of similar structure and hardness. 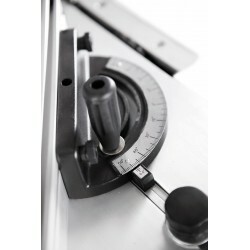 TABLE GUIDED ON STEEL-CHROMIC RODS. 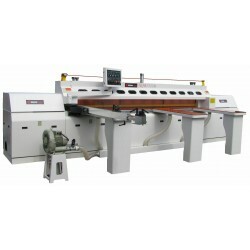 SAW INCLINATION DIGITAL DISPLAY. 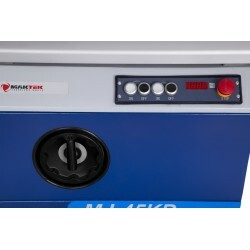 MAIN MOTOR 5.5 kW + SCORING BLADE 0.75 kW. 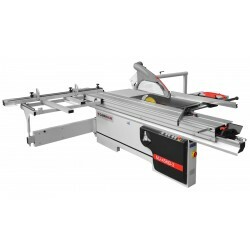 A sliding table saw for working of high density boards, MDF boards, ABS and PVC panels, solid wood and other wood-based materials or of similar structure and hardness. 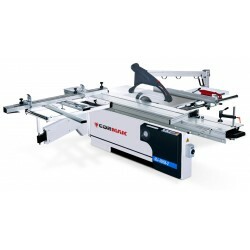 Professional machine for processing high density boards, MDF boards, ABS panels, PVC, solid wood and other materials based on wood or similar structure and hardness. In the set with a pneumatic clamp. 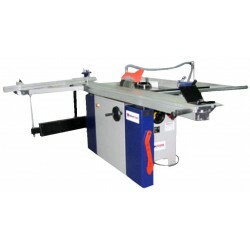 A sliding table saw for working of high density boards, MDF boards, ABS and PVC panels, solid wood and other wood-based materials or of similar structure and hardness. 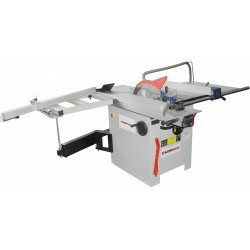 The saw is designed for small and medium joiner’s shops. 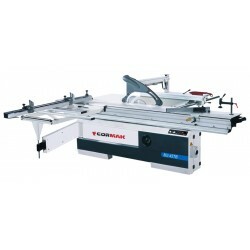 CORMAK 232 is an efficient integration of ergonomics, reliability and, first of all, output. 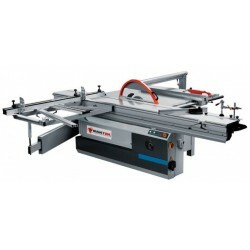 PRECISE, QUICK AND EXTREMELY EASY IN OPERATION.